Caesar set Partisan in Europe contains figures for both the former Yugoslavia and French Resistance. 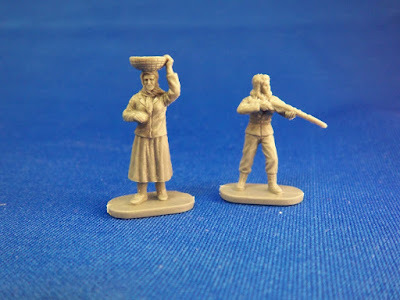 The two female figures above are some very nice models in the set. The woman with the basket could be used for at least fifty years before or after WWII and the one with what appears to be a Sten gun with silencer could have the side magazine trimmed down so it looks like she has a rifle. These heavily armed men are great figures, no flash, no goofy poses, just great figures. 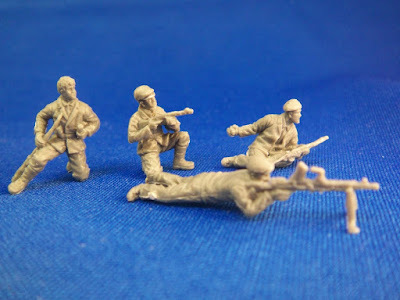 The details on the prone machine gunner are great. Look at the bipod, carry handle and magazine, just terrific. Unusual for Caesar four of the figures in this set don't require bases. 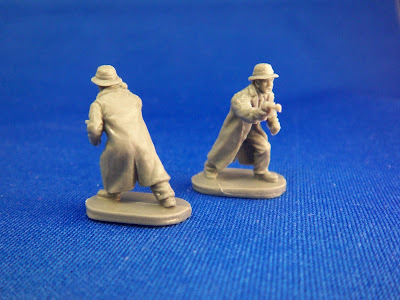 This guy is my favorite in the set, trench coat, hat, revolver. Excellent. With a repaint he can be FBI, Gestapo, gangster, partisan any number of figures. Several of the other figures in this set, perhaps with head swaps will work for cops and robbers too. 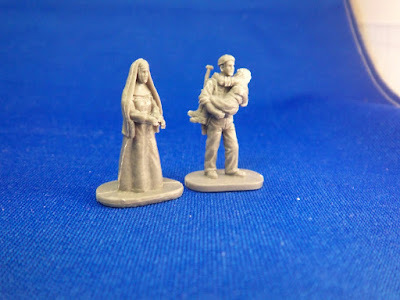 A nun and a man carrying a child. Very good figures, you get three nuns since they generally travel in packs. This is a small set, but the figures are well worth the expense. I have two of these set and I intend to get at least two more and perhaps more than that. 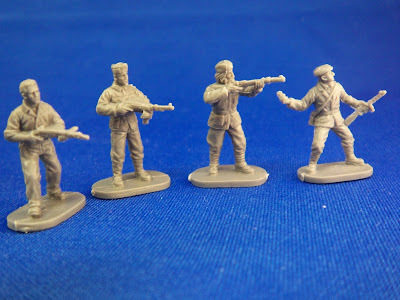 They will serve as French Resistance, Volksstrum and FBI and Gestapo in my miniature armies.